I returned from Mexico a couple of days ago. It was unfortunate that I wasn’t able to fly down to San Carlos. When you’ve got a pilot certificate, making a 15 hour drive leaves you wondering why you went through all that training, even though you’re well aware that there are plenty of times it just wouldn’t be safe to fly. As it turns out, this was one of those times. The intense heat and humidity the southwest has been experiencing lately created a 300 mile long squall line along Interstate 8. Spectacular thunderstorms are a common occurance in the region during summer months, but this one was impressive even by those standards. Surface winds of 50 mph and lightning strikes at the rate of 2-3 per second. Cessna CEO Jack Pelton was careful to describe this as a “proof of concept” airplane. It’s hard to know how close this will be to the final product and where they are in terms of certification. It could be a year down the road. It could also be five years down the road. From what I can see, this thing is basically a high wing Cirrus. The wing is similar, the structure looks similar, it even has the free-castoring nosewheel. The shape and size of the vertical stabilizer, main landing gear, and fuselage are reminiscent of the Cirrus as well. I can’t decide if Cessna is trying to catch up, or if waiting to build this airplane was a sign of genius. On the one hand, it’s a huge corporation that probably moves slowly. On the other hand, it’s possible that Cessna waited on purpose, allowing Cirrus to spend millions on R&D, tooling, improvements, etc. Then, once they had a final product which was selling well, just copy it and put the wing on top. The Soviets did that for years, copying everything from military jets to our space shuttle. One can assume that Cessna will have to match Cirrus in price. Cirrus is selling a thousand airplanes per year, that’s what’s taking the lion’s share of the high-performance piston market. A fully loaded SR22/GTS runs about $450-480k, so to be competitive, that’s where Cessna will have to price this airplane. It had also better come with airbags, a parachute, a glass panel, air conditioning, deicing, and all the other stuff you find on a Cirrus in that price range. It will be interesting to see what the useful load is with all that equipment on board. A fully loaded GTS has a full fuel (80 gallons) payload of 500 lbs. Not much, I guess, but that’s what people want these days. They rarely travel with four on board, so why not have the equipment and fuel capacity that will allow the airplane to really travel — in style. I fly Cirrus SR22s every day at work. It’ll be tough to beat them at that game. The folks in Duluth spent a lot of time and money to come up with a modern airplane, and they’ve had thousands of chances upon which to improve the product. The doors, brakes, fairings, electronics, and other components are far better than on the models they made just a few years ago. And Cirrus recently announced the addition of a turbocharger to the SR22. It’s their way of trying to stay competitive with the Columbia 450’s 230 knot cruise speed. To really keep up with the Jonses, Cessna’s new airplane should at least have a turbocharger option. One place where Cessna can improve on the SR22 is in control feel and harmony. In my opinion, this is the SR22s main drawback. The Cirrus is not designed for “fun” flying, it’s designed to go places. With that in mind, it uses a series of spring cartridges for trimming the plane. It leaves the controls with a foreign, artificial feel. They feel the same on the ground as they do in the air. There’s no aerodynamic feedback through the stick. When you’re low and slow, the controls don’t feel mushy. They’re as firm as when you’re at cruise speed, because what you’re feeling when you move the stick is the resistance of the spring cartridges more than the resistance of the air passing over the control surface. Another major omission in the SR22 is the lack of a pitch trim wheel. It’s extremely difficult to manually trim the plane for level flight. A manual trim wheel would be perfect for this job, but Cirrus chose to omit it from the plane. Again, it’s because the aircraft was designed for serious travel. The thought was that the airplane would be on autopilot most of the time. And it is. But still, the lack of an analog pitch trim device is a major drawback in my opinion. If nothing else, it would make the plane safer. As it stands now, a trim failure means you have to fight the plane until landing. In a Cirrus, it’s hard work to do this. You’re not only fighting the out-of-trim condition, but also the normal spring cartridge pressure AND the rudder-aileron interconnect, which is quite strong. If Cessna fixes this, gives it an A36-like control harmony, and is competitive on price, I can see them making headway against Duluth. One major advantage Cessna brings to the battle is money. As a subsidiary of a multi-billion dollar conglomerate, they have financial resources far beyond those of Cirrus or Columbia. That means they can design, certify, and start producing these planes far more quickly than anyone else. Witness the Cessna’s Mustang jet. They got a very late start into the VLJ market, yet they’ve basically caught up to Eclipse. Why? More resources. That means less time spent scrounging for money. Whoever wins this battle, it’s nice to see that one is at least taking place. The ultimate winner in this contest will be the general aviation community, because competition means innovation and that’s something the industry has been in sore need of for a long, long time. I agree, Cessna has their work cut out for them if they plan to catch Cirrus. 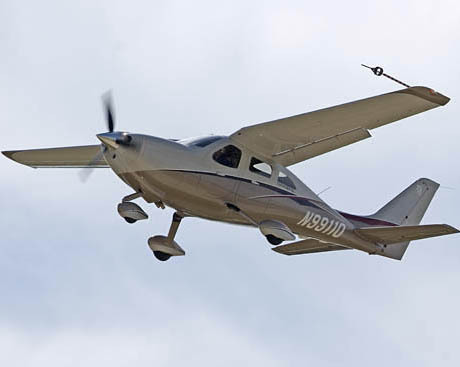 While the airplane pictured in your post may have a few “Cirrus like” features, it is definitely Cessna. It also looks like they will provide a roomier cabin, as evidenced by the aft entry doors. As for Cessna catching up with Eclipse, there is one thing you forgot to mention. Cessna has decades worth of experience and Eclipse started from scratch. The Mustang has so much “Citation” in the manufacturing and design that it’s really a stretch to say it’s a fresh sheet of paper airplane. I’m not sure Cessna needs a “Cirrus Killer.” I believe that Cessna has a big enough following that a new aircraft such as what’s pictured will draw quite a bit of excitement on its own. Cessna’s delivered over 6,000 new aircraft since they re-started single-engine manufacturing a decade ago, and that says a lot. There’s more than enough room for both Cessna and Cirrus in the “truly new” aircraft category. Can’t wait to see the new Cessna! Grant, you make a good point about the Citation experience. They already had engineers on staff, production facilities built, subcontractors in place, etc. Plus they can defray those costs over the various Citation models. GC, I hope you’re right. I’m just glad that Cessna has made the decision not to give up on the single engine market. It seems to me that the profit margin on the single engine line may not be worth the effort. Or at least, that such an arguement could be made. I was concerned that they’d look at what it would take to compete with Cirrus and Columbia and elect to say “the hell with it” and focus on the Citation line. I doubt Cessna would ever leave the single engine piston market. 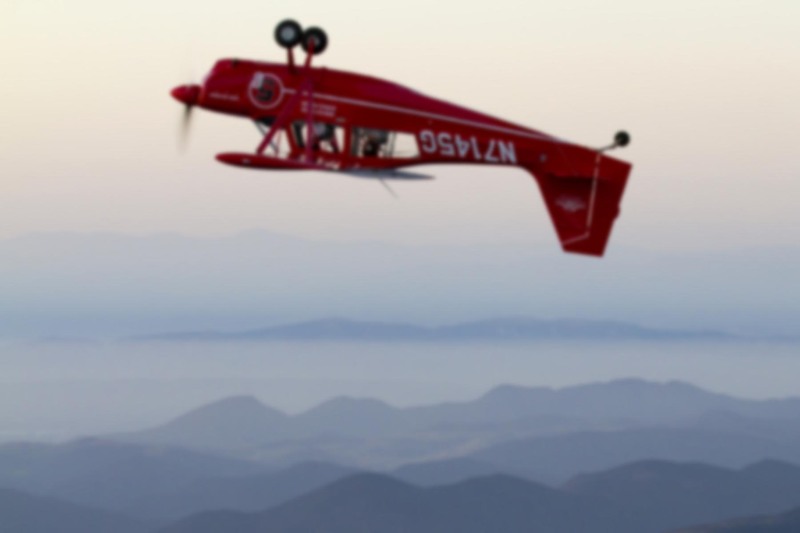 They have a number of good contracts with many organizations for small aircraft (Civil Air Patrol comes to mind,) are ever popular, and it looks like they’re going to be in the Sport market soon. The new “Cirrus Killer” (Great name!) will probably do well, but I think the LSA is going to be a hit. It has the Cessna name, and is going to be available to a lot of pilots, mainly due to a lower cost, lower rate of fuel consumption, and sport eligibility. I believe Cessna would do really well selling something like an updated 150, and this may be it. I know I want one! Ron, in regards to the profit margin on the single engine line at Cessna, there are some other aspects of developing a product for the market other than the profit margin. Did you know that Cessna never made a dime on the Cessna 150/152 line of airplanes when they first rolled off the line? Their goal was to mass produce these cheap, single engine trainers such that they flooded the market with their product. While they didn’t make any money on the 152’s they produced, they got their product and name on the market, and when pilots decided to buy their own airplane, guess what they bought? The Cessna 172 or 182, which Cessna DID make money on. Something about a brand name…. Anyway, just an interesting fact. I’m not sure if Cessna can pull off the same feat these days, as I believe there are too many players in the market. Cessna catch up to Eclipse??? Wrong on two counts at least. The Mustang isn’t a “VLJ” and to my knowledge has never been advertised by them as such. Second, Eclipse has yet to produce even one completely certified aircraft or accrue one fleet hour of usage on a production airframe. As far as a “very late start” Cessna doesn’t usually announce things that haven’t been cooking in secret for some time. It’d be wrong to think they’re ever late to the party. Removing the primary instruments from the Cirrus is nuts! One of the first events where a pilot pulled the parachute on a Cirrus was where he found his Garmin 1000 display went wonky on him – the entire display was flashing and carrying on …… so the idiot pulled his parachute. This plane was installed with the primary instruments but the pilot/owner (typical individual who probably is a green pilot) panicked and pulled the parachute. Now, if they no longer fit the basic instruments what happens when the Garmin 1000 hiccups? The Cirrus is merely a Grumman Tiger on steroids anyway – it’s not my favorite plane. Any aircraft that needs brakes to steer and then has brake fires which set fire to the airframe is a dumb idea – but removing the primary instruments is a really dumb thing to do.